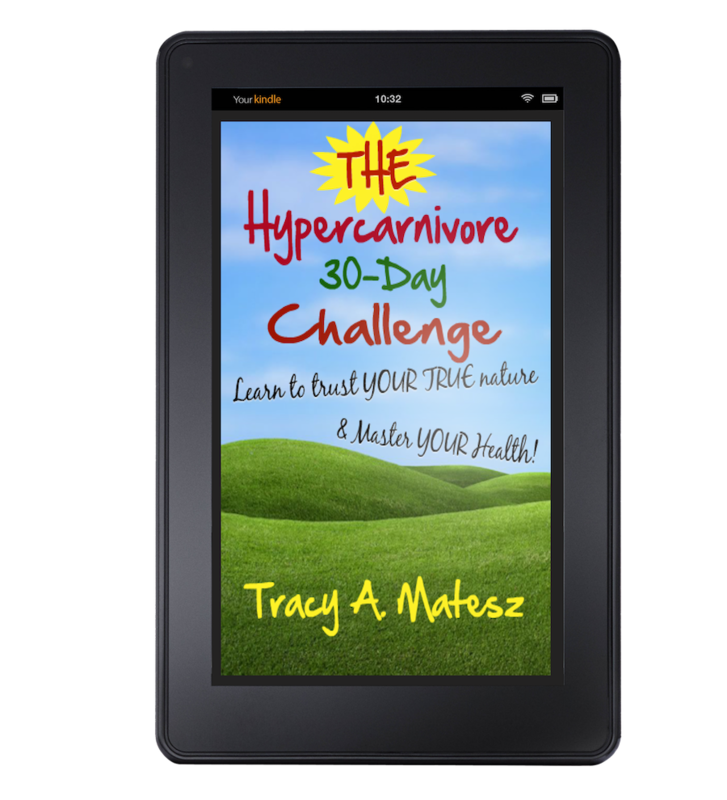 Raw Wild Cod & Javelina Chili is likely not a combination you will ever come across again. Ever. But this new twist on Surf & Turf was actually very nourishing and enjoyable! My recipes are spontaneous. 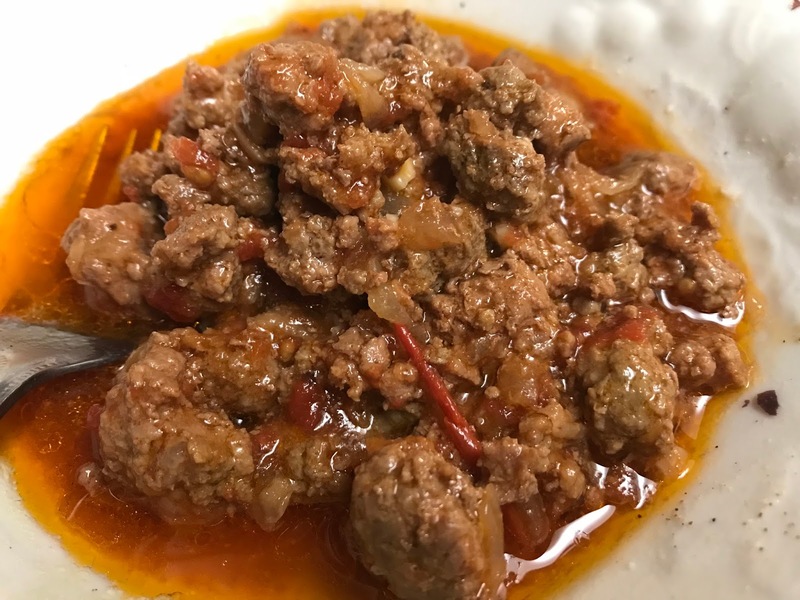 I show a couple recipes in one post that may seem to be a random combo, but it typically reflects our meals for that day. 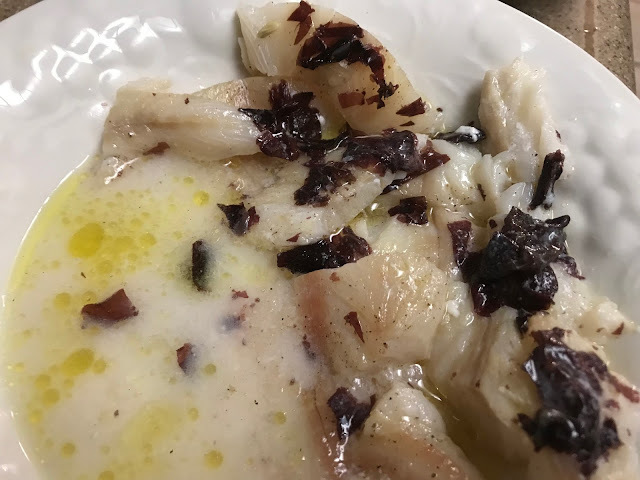 The one pound package of wild cod is just not adequate calories for a full meal for both Don and I. We happened to have the Javelina meat in the fridge, so when life brings you Javelina, make Javelina chili! We received the freshly hunted Javelina meat from a client. Her husband and nephew hunt together, then cut it with some beef before packaging. It had a slight hint of being 'gamey' or at least Don thought so. I found it to have that fresh, healthy (in a good way) taste, like a leaner cut of meat that didn't quite taste like beef, nor pork. The combo of the Raw Wild Cod and the Javelina Chili was actually quite satisfying. 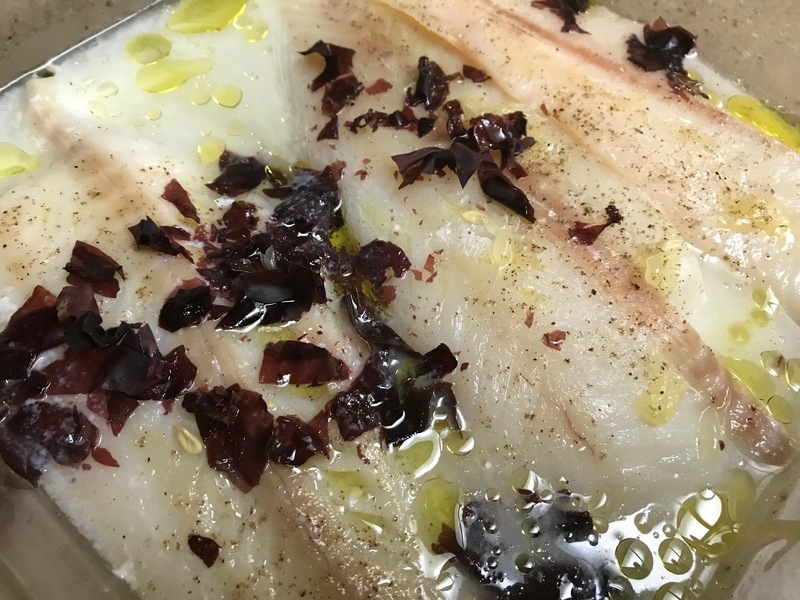 We get some pretty good wild cod that comes frozen, and sometimes enjoy it raw, especially during the warmer months. We marinate the fish (this is good with salmon too) in some fresh citrus, and a little seasoning. I drizzle with some xvoo when it is time to serve. Season lightly with salt and white and/or black pepper. This has crumbled dulce on top which will soften as it marinates. The dulce boosts the minerals, and has a slight bacon-y flavor. Slight. Drizzle with avocado oil, olive oil, or even Carlson Labs Lemon Cod Liver Oil would work. You can also add thin sliced scallion, and sub a light drizzle of vinegar in lieu of citrus. The acid essential 'cooks' the fish. Click here for more Raw (and cooked) Fish recipes. Make the Javelina Chili just as you would a standard meaty chili. Warm the pan, and add fat. Add onions. Let cook a couple minutes, then add the meat, and crushed garlic. Season with salt and pepper, and your favorite seasonings. I like using about 1+ teaspoon each of cumin and a milder chili powder. I didn't want to over season, as I wanted to taste the meat. Add tomato and/or some broth. Cover, and let simmer on medium-low for 20 minutes. While this is an atypical 'surf and turf' the flavor combo worked. The Cod was refreshing with the citrus marinade, sort of like a ceviche. It balanced the meaty, slightly warming and spicy chili. 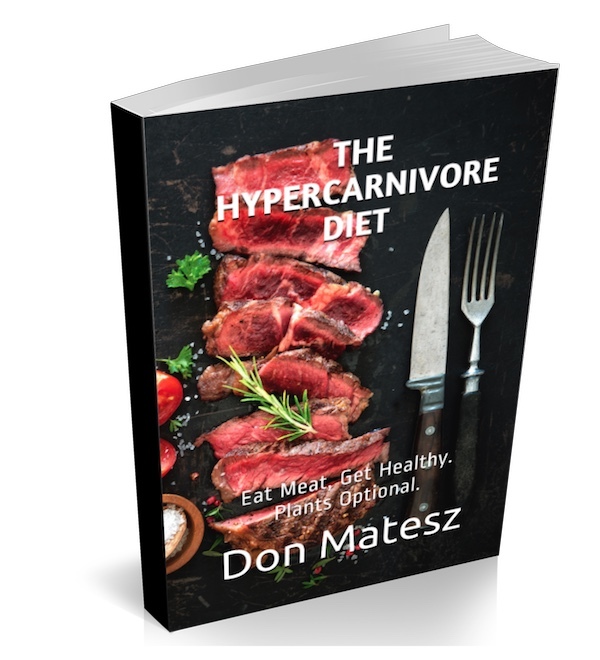 For my full list of low-carb, high-protein, hypercarnivore recipes ~ from this blog, my website, and the Strong Spirit Woman YouTube channel ~ click here. 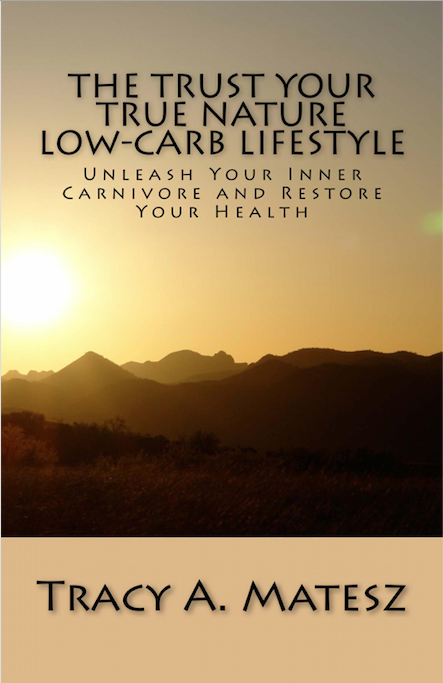 Or check out The Trust Your True Nature Low-Carb Lifestyle for more simple recipes. The Kindle color version and e-book both include food photos.